The Amazing And beautiful Nord Vape Kit by Smok. The Smok Nord Vape is somewhat of a unique vape on the market. 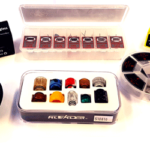 Unlike its predecessors, the Novo and Rolo, this vape has replaceable coils. That said, the Nord has kept all the great things about the pod systems. Smok Nord Vape is small and compact, allowing you to put it in your pocket and forget about it. 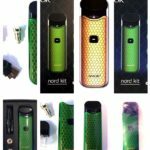 The ergonomically design is perfect for a comfortable fit in your … [Read more...] about The Amazing And beautiful Nord Vape Kit by Smok.